Real estate has defined R. Kymn Harp’s entire life. With the commercial real estate industry at last rebounding from the long downturn that began with the Great Recession, he believes it is time to provide an educational resource addressing due diligence and other hot topics facing dealmakers in the commercial real estate industry. Illinois Commercial Real Estate is a practical handbook and unique resource for investors, developers, brokers, lenders, attorneys and others interested in commercial real estate projects in Illinois. It provides best-practice guidance gleaned from Harp’s lifetime of experience growing up in a real estate family and his nearly four decades of experience as a commercial real estate attorney. It is packed with pearls of wisdom acquired by working in the trenches with creative clients actively engaged in the commercial real estate business. 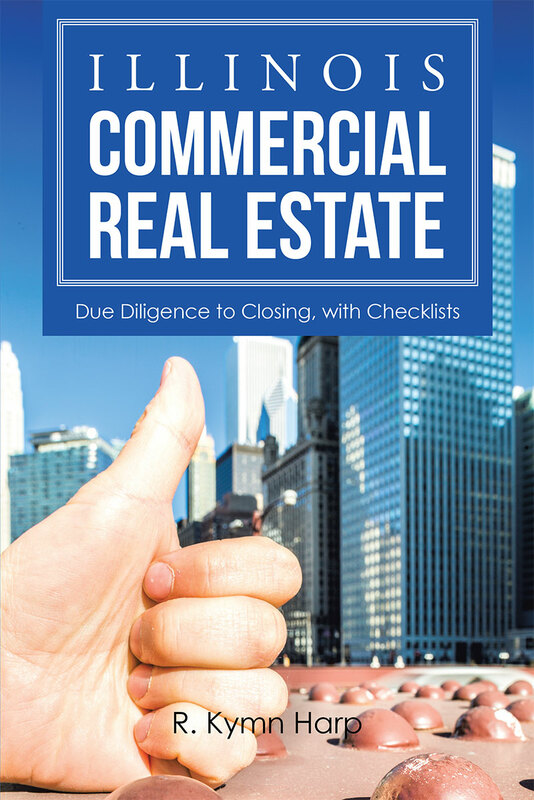 Harp’s practical approach to commercial real estate due diligence and closing, and the invaluable insights and closing checklists he shares, serve as benchmarks for commercial real estate transactions throughout the USA. Copyright © 2016. R. Kymn Harp | Xlibris. All rights reserved.